Evolution in the field of diagnostic hematopathology has been remarkable. The World Health Organization (WHO) classification scheme for hematologic neoplasms has achieved widespread endorsement and acceptance in clinical practice. This volume integrates proposed WHO 2016 recommendations and highlights areas in which further classification revisions may occur, or areas in which criteria are controversial. In addition, the immunophenotypic and molecular genetic tests of greatest value in diagnoses, risk assessment, and disease monitoring are highlighted in the text. The substantial focus on molecular genetic findings for each neoplasm parallels the ever-expanding role of genetics in disease classification and risk assessment. Key problem areas and differential diagnostic considerations are also included for each neoplastic disease category. Although primary blood and bone marrow neoplasms are the focus of this text, metastatic neoplasms in bone marrow are also covered. 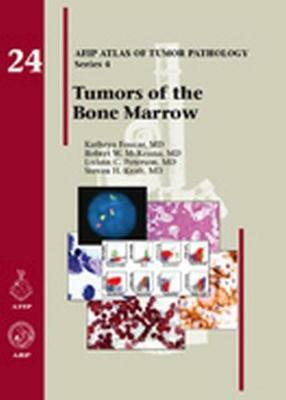 This atlas will provide readers with comprehensive information necessary for the clinical assessment of bone marrow neoplasms for years to come.